Rev. Todd praying in “The Hiding Cave of St. Thomas” in Chennai, India back in January of 2010. 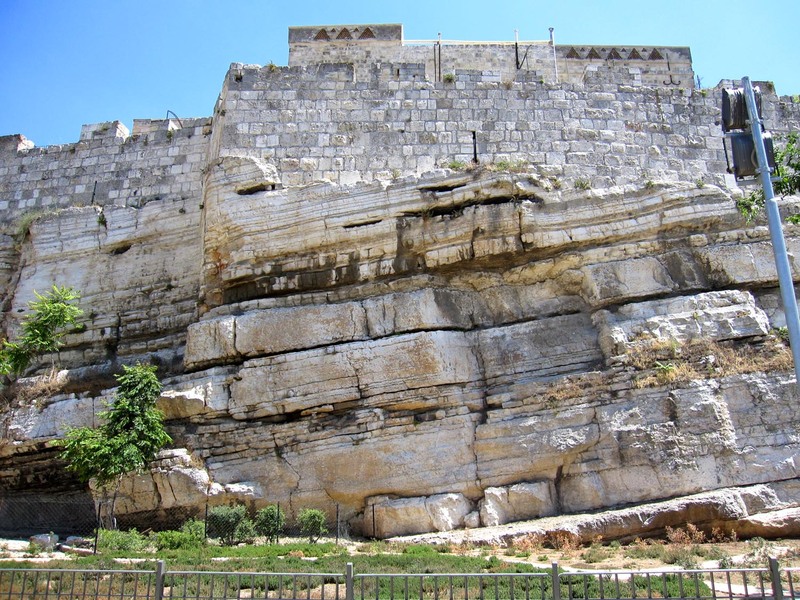 The Apostle Thomas was believed to be in hiding there on “Little Mount”, prior to being caught and martyred. Part 172: Thomas. The Apostle Thomas often gets a bad rap as a result of one moment of disbelief. Called to be one of the Twelve, it is rather unfair for him to be given the disparaging nickname of “Doubting Thomas.” We don’t know too much about him prior to his time with Jesus, but we do know that he had the nickname of Didymos (Greek) or Didymus (Latin) or Twin. This probably is an indication that Thomas had a Twin brother; however, there is no way to be certain about that. It is in the Gospel According to John that we gather the most information on Thomas. Upon being told that Lazarus had died and that Jesus was planning to head down to Bethany, near Jerusalem, to visit with Lazarus’ sisters, the disciples protested for fear that Jesus would get himself captured and killed. This was toward the end of Jesus’ ministry and it was known to them all that the religious leaders, Herodians and scribes were looking to arrest Jesus and have him killed. In that moment, it was Thomas who said to the rest of the disciples, “Let’s go, too—and die with Jesus” (John 11:16, NLT). For someone who often gets painted as a doubter and “wishy-washy”, this is a pretty bold statement of loyalty to Jesus and his mission. It is clear that Thomas believed they were going to all suffer the same consequence of Jesus and he, loyal to his master, was seemingly ready to suffer those consequences. At least in that moment, as later on in the Garden of Gethsemane, Thomas flees for his life just like the rest of the disciples. While Thomas did not always get Jesus, and while he did not always understand the things Jesus taught and said, he was always engaging with Jesus and sought to have a deeper understanding. For instance, in John 14, Jesus was explaining that he was not going to be with the disciples much longer. Speaking in riddles, Jesus begins to talk about going to away to his father’s house to prepare a place for the disciples. Most of the disciples sat quietly, dumbfounded and confused by Jesus’ exposition. The only exceptions are Thomas and, subsequently, Philip. When Jesus stated that the disciples knew the way to where Jesus was going, Thomas responded, “No, we don’t know Lord. We have no idea where you are going, so how can we know the way?” To that, Jesus famously answered, “I am the way, the truth, and the life. No one can come to the Father except through me. If you had really known me, you would know who my Father is. From now on, you do know him and have seen him” (John 14:5-7, NLT). Like all of the disciples, Thomas did not quite understand just what kind of “Messiah” Jesus was. For him, and the others, Jesus was the Messiah who would conquer the Romans by force and restore Israel to her rightful place as God’s Kingdom on Earth. Thomas, along with the other disciples, was mistaken. Jesus was not a conqueror king and God’s Kingdom was far more than Israel had ever amounted to. No earthly kingdom could compare to God’s Kingdom and, as shown through the disciples’ confusion, God’s Kingdom was far different than anything the world could ever understand or accept. So, that brings us to the moment that Thomas will be forever remembered for. When Jesus was crucified and died, Thomas was devastated as were the other disciples. He was ready to fight alongside of Jesus, even to the death; however, Jesus never fought. Instead, he willingly gave himself up, was tortured, crucified, and now he was dead. There was nothing that any of them could do to change that and they all were in a hair’s breadth of being caught by the officials and crucified themselves. So, when Thomas is told that Jesus had resurrected, he did not believe. It was not a moment of doubt; rather, it was a moment of grief-driven disbelief. Yet, unlike the rest of the disciples who had actually placed their hands into the wounds of Christ, Thomas never even had to. The second Jesus appeared to him, he fell to his knees and proclaimed, “My Lord and my God.” Instantly, in that moment, Thomas knew who Christ was and professed it fearlessly with conviction. That same Thomas went on to travel one of the furthest distances of any of the Apostles. He followed the Spice Route to India and established one of the oldest in Kerala, India. From there he traveled across expansive India, proclaiming the Gospel everywhere he went until he was martyred in what is now Chennai, India, on the coast of the Bay of Bengal. Thomas was no feeble-minded doubter, but a person who wrestled with the complexities of being human. We do no less and, I think, our willingness to judge and label Thomas a doubter says more about us than it does about him. We should, like Thomas, be willing to ask probing questions and to seek answers. Like Thomas, we should wrestle with our unbelief and come to terms with who we are in Christ. Like Thomas, we should profess Christ as our Lord and our God and follow him to the ends of the earth, if that is where he is calling us. It’s not your doubts that brings you down, but how you respond to them. My Lord and my God, I humbly seek you out in my life and in all that I do. Remind me the way to you and to your Kingdom and guide me toward it. Amen. Over the course of the month of March, my family and I sat down to watch the Bible series, which aired for five consecutive Sundays on the History Channel. The last two and a half episodes were centered around the life, death and resurrection of Jesus. It is during those episodes that we become acquainted with Thomas, one of the twelve disciples. In the series, the shaved headed Thomas always looks dour and disgruntled. He always seems to be warring with his being a disciple and the things Jesus is teaching. He is never fully convinced of who Jesus is, or so he appears, and the miracles just don’t seem to be convincing him. Even when Jesus appears to him in the upper room, following the resurrection, Thomas still refuses to believe. “No, I can’t believe it,” Thomas exclaims, “It can’t be real.” Even as Jesus is standing right before Thomas, he is shown to be doubting the reality of what he is witnessing. In fact, in the TV series, it seems that Thomas isn’t doubting at all…he just simply doesn’t want to believe. While the series wasn’t entirely true to the character of Thomas, as Thomas never refuses to believe the reality of the resurrection when Jesus is standing before him in the room, it is a fact that Thomas has become known to us as the doubter. And in his doubt, it seems that often times the Bible, and we people of “faith”, seem to look down upon him for having his doubts. What’s more, often times we, as Christians, look down at people who struggle with doubt. We act as if we are so sure about everything. We say amongst ourselves, “Oh come on! How could you not believe?” Perhaps we feel good about ourselves in doing so. Perhaps it gives us a sense of comfort to know that we are standing on a faith of solid rock; yet, even if that is the case, we are only left with a false sense of security. Even the most solid rock in the world can be utterly cracked and disheveled by a major earthquake. There is nothing on this earth that stands the test of time without experiencing uncertainty and doubt. I can be said that the life that denies the existence of doubt denies the very nature of what it means to be alive. After all, what do we know? Honestly, what are we so sure of that there is no room for doubt? The truth of the matter is that there is no life lived that has not experienced doubt. Thomas is not the weakest link in Jesus chain of disciples, he is one of the strongest links. He refused to believe something just because someone else told him it was true. He had to experience it for himself; it had to become real for him in order for him to accept it. When we stop to think about it, one would have to say that, in fact, one cannot truly believe something unless they have experienced the truth of it. Mary had the privilege of witnessing Jesus outside the tomb, why then would we deny Thomas the experience of witnessing Jesus? Why would we want to deny anyone, including ourselves, the opportunity to personally witnessing the presence of God in our lives? The next time you have doubts, be honest with yourself. Embrace those doubts and ask the necessary questions you need to ask. Recognize that doubt is not your enemy, doubt is not the opposite of faith. Come to the understanding that doubt is the bedrock from which faith springs! Know that you are not alone in your doubts and that from your doubts your faith shall rise. Doubt is the bedrock from which faith springs. Lord, I believe. Help me with my unbelief. Amen.